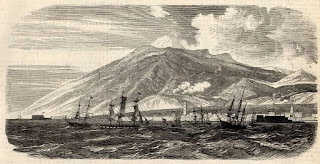 Travel Stories in Tenerife and the Canary Islands: Did artist William Turner sketch in the Canary Islands? Did artist William Turner sketch in the Canary Islands? The life of Joseph Mallord William Turner, one of England’s greatest Romanticist artists and master of watercolour landscape painting, has been well and truly investigated and analysed over the years. Nobody, however, except perhaps the American biographer John Anderson in The Unknown Turner of 1926, has ever mentioned that Turner may have visited the Canary Islands or even sketched one of the colourful and still unspoilt scenery in the islands of the 19th century. Consequently it is now only local historians, researching in depth about foreign and famous travellers to the Canary Islands, who find themselves tempted to clutch at any evidence that Turner actually came to the islands. 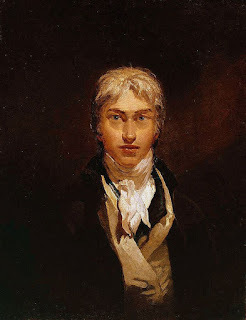 William Turner was constantly on the move and spent his very early days wandering all over England in the footsteps of his friend and fellow painter Paul Sandby. He also travelled in Europe, first to France and Switzerland and then, in 1819, to Italy and Venice where sunlight began to have a magic effect in his works. He later visited the Mediterranean islands of Corsica and the Balearics. He also spent time in mainland Spain during the 1840s where he sketched the Roman aqueduct in Segovia and the castle in Madrid, both of which are kept at The Metropolitan Museum of New York. Wherever he travelled Turner sketched and took detailed notes which he would eventually use in his customary studio-bound painting. John Anderson accounted for over 40,000 oil paintings, watercolours and sketches although some art historians suggest Anderson was not precise enough and therefore prone to exaggerate. 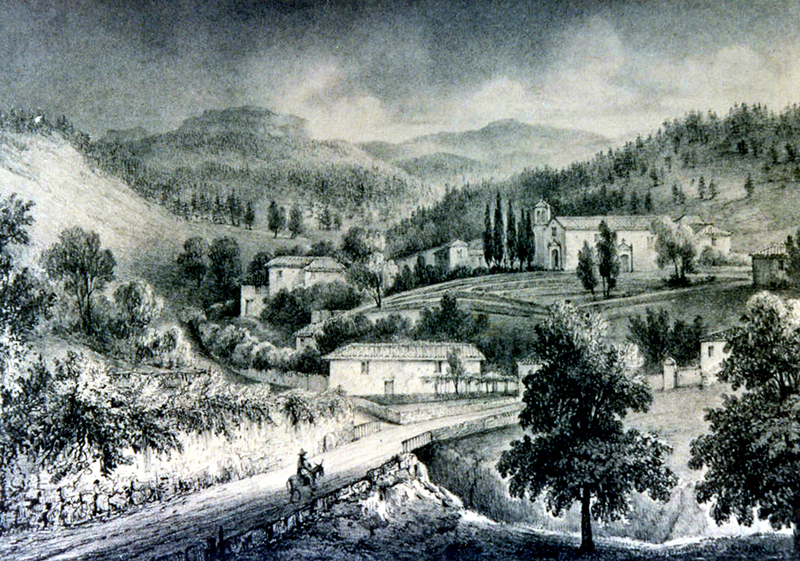 In 1845 he travelled to Algiers and Gibraltar as well as to Madeira and the Canary Islands. If he was indeed so prolific one would assume that, like so many British visitors and artists to the Canary Islands in the 19th century, Turner would have captured some of the islands’ unique landscapes. Unfortunately there is no apparent record of any work carried out here although one or two analysts believe there must be something hiding somewhere and that he did sketch a scene from out at sea looking across the bay towards Santa Cruz in Tenerife, perhaps with Mount Teide in the distance. The reason for his apparent inactivity during his travels to the Canary Islands or even that he might not even have stepped ashore, is perhaps because he came to the islands as an old man in declining health. 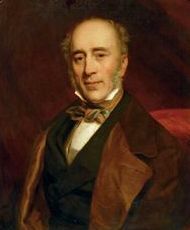 In fact it is believed he sailed to the Canary Islands precisely for health reasons, following the documented advice of famous physicians like Sir James Clark of Cullen in Banffshire who recommended the climate in Tenerife. 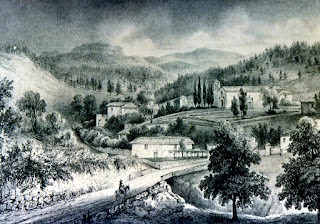 In his 1829 work The Influence of Climate in the Prevention and Cure of Chronic Diseases, more particularly of the Chest and Digestive Organs, Clark was especially complementary of the Orotava Valley and Vilaflor, remarking upon their peacefulness and clean, healthy air. Nevertheless, artistic imagination does tempt one to wish that William Turner might have at least dreamed of painting just one of Tenerife’s sunsets from the rocky, volcanic northern coast, perhaps in Puerto de la Cruz. John Whitford, who published The Canary Islands as a Winter Resort in 1890 certainly did. He compared the sundown colours of the Orotava Valley to the same marvellous golden colours found in William Turner’s paintings. 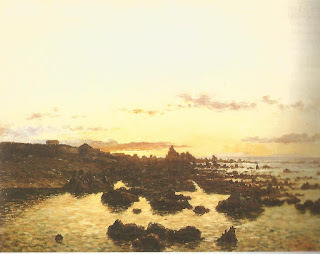 Would Turner, had he set foot on Tenerife and set up his easel on the volcanic rocks to the east of the fishing port in Puerto de la Cruz, or beside the chapel of San Telmo as so many artists do today, have captured the same marvellous golden colours depicted by Tenerife artist, Marcos Baeza in 1890? Would he have equalled the same scene with the typically golden sunset lighting up the placid rock pools, the waves and the island of La Palma on the horizon? There would certainly have been mutual admiration, for both Turner and Tenerife’s Baeza were masters inspired by the subtleties of the sun’s fading light. funny stories!! Only TRUE stories please.? I am not much into reading, but somehow I got to read lots of articles on your blog. Its amazing how interesting it is for me to visit you very often. Thank you, Yolanda. I'm sorry I had not replied before. I'm so glad you enjoy my articles. Indeed, he is a good artist. He was a good artist.